#throwbackthursday Sad(e)ness e Os Princípios da Luxúria! Todos nós temos desejos, desejos de alcançar um novo posto de trabalho, de atingir um patamar de riqueza e, mais do que aqueles que nos são incutidos, existem sempre aqueles desejos que (para uma visão bem puritana) são demasiado pecaminosos para este mundo. Sadeness (Part 1) de Enigma (5 milhões de singles vendidos) mistura o canto religioso, os vocais sensuais da cantora alemã Sandra, que teve Maria Magdalena nos tops na década de 80, com uma voz masculina que questiona os desejos do Marquês de Sade. 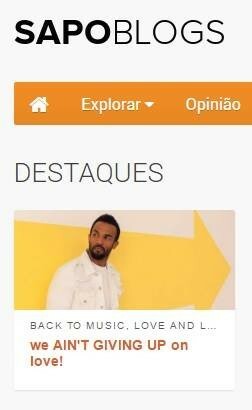 São desejos mesclados numa canção que alcançou o número um durante 5 semana nas Eurochart e em mais de 24 países (Reino Unido e US, por exemplo) e que, em alguns, o título foi alterado para Sadness(Part 1), retirando, dessa forma, o pecado que este single poderia conter e atribuindo-lhe mais melancolia que respostas a desejos carnais. 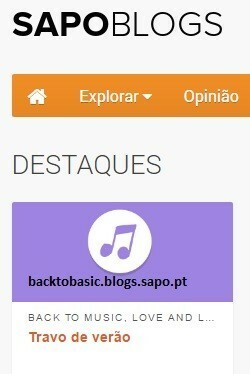 Desta forma, tal como na música, podemos sempre questionar os nossos desejos mais íntimos, podemos até mesmo misturar o que de mais puro temos em nós sem nunca descurar o outro lado do espelho, aquele prazer que nos pode ser oferecido pelo outro, aquele mesmo em que dois corpos se juntam e partilham o que têm de mais íntimo. Aqui, o nome do Marquês substitui-se pelo teu, porque as questões que lhe são dirigidas podem muito bem ser respondidas por ti. Aliás, nesta mistura de sons de flauta e batidas podes, muito bem, reflectir até que ponto te encontras fechado a convenções e tradições obsoletas ou limitativas. Em suma, não será apenas Sadeness que se encontra actual 27 anos depois, mas também o álbum MCMXC a.D que é mais do que uma busca num mundo medieval, cheio de sons de floresta, de grilhões que prendem as mãos e a mente e de pessoas que pretendem encontrar respostas únicas e libertadoras às suas questões mais íntimas.Para começar a viagem, por este vídeo, ficamos com Principles of Lust (Os Princípios da Luxúria), a trilogia que Sadeness se insere, porque o pecado, esse, nunca fez mal a ninguém! We all have desires, desires to get a new job, to be wealthier, and more than the ones that are instigated, there are always those which (for a puritan vision)are too sinful for this world. Sadness (Part 1) by Enigma (5 million singles sold) mixes religious chants, the sensual vocals by German singer Sandra, who had Maria Magdalena in the charts in the 80's with a male voice that questions the desires of Marquis de Sade. Those are desires mingled in a song that reached number one for 5 weeks on the Eurochart and in more than 24 countries (UK and USA, for example) and in some of them the title was changed to Sadness (Part 1), removing, in that way, the sin that this single could contain giving to it more melancholy than responses to carnal desires. In this way, as in the song, we can always question our most intimate desires, we can even mix the purest things we have in us without forgetting what’s on the other side of the mirror, that pleasure that can be given by the other, that one when two bodies come together and share the most intimate things they have. Here the name of the Marquis is replaced by yours, because the questions that are asked him can well be answered by you. In fact, in this mixture of flute sounds and beats you may well meditate on to what extend you are closed by conventions and obsolete or limited traditions. In short, it is not only Sadeness that is uptodate 27 years later, but also the album MCMXC which is more than a search through a medieval world, full of forest sounds, of fetters that hold the hands and the minds and of people who want to find unique and liberating answers to their most intimate questions. To start this journey, through the video, we have the Principles of Lust, the trilogy in which Sadeness is part of, because sinning never harmed anyone! Alguns Kandi(es) bem doces para esta quinta feira. 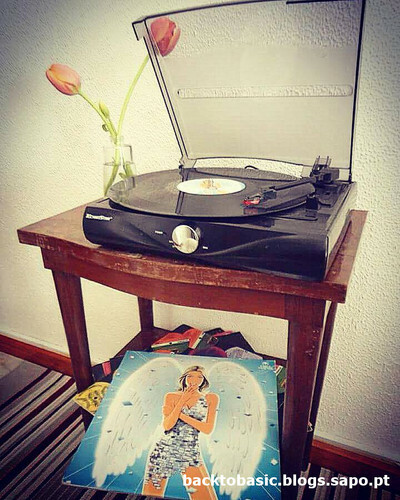 Aqui por casa, (re)descobrimos umas das edições em vinil da uma compilação da editora Hed Kandi, também ela já presença habitual neste blog, principalmente nos meses de verão. Disco Heaven 02.02 é a banda sonora para o nosso céu, em que o disco se mistura com as batidas de dança e com o denominado disco-house,presente no filme Studio 54, repleto de refrões e vozes de Ultra Naté, Shelley Nelson, Amber e do inconfundível Tunde (Lighthouse Family). Um total de 8 temas em versão extended enchem esta edição em vinil e são nada mais, nada menos, que um sample à compilação editada em CD. Para tornar esta viagem pelas nuvens ainda mais memorável, contamos com remisturas do sueco Stonebridge para And It Hurs de DaYeene, do nova iorquino Kenny Dope para Believe de Nathan Haines e do francês François Kervokian para High dos Lighthouse Family, ele que também remisturou o delicioso e épico Forever More dos Moloko. Basicamente, para fruir esta edição dupla do LP ao máximo, basta preparar uma bebida fresca, cheia de hortelã e com um travo de gin ou martini, levantar a agulha e pousá-la na primeira faixa. Depois disso, encher a varanda com os amigos, deixar o sol brilhar e, já que amanhã é sexta feira, fazer um brinde ao fim de semana. Saúde! Some very sweet Kandi(es) for this Thursday. 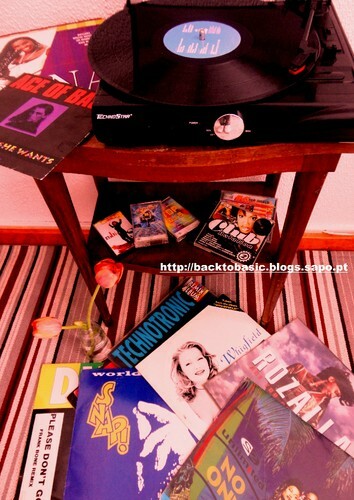 Here at home, we (re)discovered one of the vinyl editions of a compilation from the label Hed Kandi, also a usual presence in this blog, mainly in the summer. Disco Heaven 02.02 is the soundtrack to our heaven, in which disco is mixed with the dance beats and with the so-called disco-house,featured on the film Studio 54, filled with choruses and voices from Ultra Naté, Shelley Nelson, Amber and the unmistakable Tunde (Lighthouse Family). A total of 8 tracks in extended versions fill this edition in vinyl and are nothing more, nothing less, than a sample to the compilation edited in CD. To make this journey through the clouds even more memorable, we have remixes by the Swedish Stonebridge for DaYeene's And It Hurs, by the New Yorker Kenny Dope for Believe by Nathan Haines and by the Frenchman François Kervokian for High by the Lighthouse Family, who also had remixed Moloko's delicious and epic Forever More. Basically, to enjoy this double edition of the LP to the max, just prepare a fresh drink, full of mint and taste of gin or martini, lift the needle and put it on the first track. After that, fill the porch with friends, let the sun shine and, since tomorrow is Friday, make a toast to the weekend. Cheers! No mês das águas mil temos programa variado em Gaia durante esta semana. 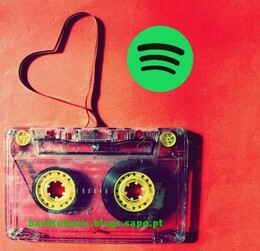 Se não sabias o que fazer, a Festa Da Cultura oferece uma variedade de actividades: para os apaixonados pela música que o tempo levou, há uma feira de vinil bastante interessante, uma vez que que os preços mais baixos rondam os 2 €, e de adereços como roupa, por exemplo; para os que querem dançar e beber um copo, vai ser possível fazê-lo na tenda montada no Cais, onde festas dedicadas aos anos 90 e aos 60's e 70's irão ser, certamente, um ponto de passagem obrigatório. Claro que há sempre aqueles para quem a música não é tudo e, por isso mesmo, podem ainda assistir a peças de teatro, de dança, aliás o Dia Mundial da Dança comemora-se dia 29 de Abril, e outro eventos relacionados com a literatura. Assim, vemo-nos esta 5a feira na festa Flower Power! Até lá, se querem informação mais pormenorizada podem saber mais aqui. Lema da semana: Deejay, spin that wheel! In the month when it usually rains a lot, one can find an interesting program to do this week in Gaia (Porto, Portugal). If you didn’t know what to do, the Festa da Cultura offers you a variety of activities: for all music lovers that still like the sounds that were gone with the wind, they can go to the vinyl market, where the prices of the vinyl’s start at 2€, and also find there clothes; for those who like to dance a drink a little bit, they can go to tent placed at Cais for the 90’s, 60’s and 70’s party. Also, if you don’t want only go there for the music, you can watch some plays, dance exhibitions, the International Day of Dance is on April the 29th, or go to other events related to literature. Therefore, see you this Thursday at the Flower Power party. Until then, you can find more information here. This week’s motto: Deejay, spin that wheel!